Since I’ve been repeatedly asked to post a picture of myself sans hardware (read: braces and appliances), I’m updating this fancy little blog one last time. 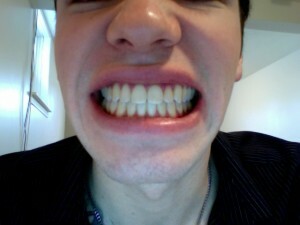 I had a date with my orthodontist earlier this week where she kindly removed my braces for me. The entire process took no more than 5 minutes and was relatively painless. I was shocked that something that was such an inconvenience could be eradicated in mere moments. My teeth felt extremely slimy at first, but I later realized that I’d simply forgotten what smooth teeth actually felt like. Following that, she made a couple of molds of my new mouth so their lab could fashion me a sporty new retainer! 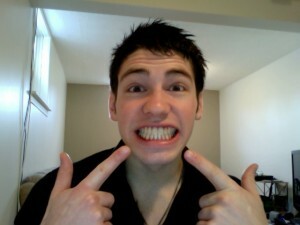 (Note: I’m not actually excited about having a retainer. I’m just making my best effort at staying positive.) 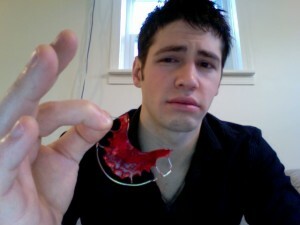 I received the retainer a few hours later and learned how to snap it in and take it out. Then, upon shaking the hands of all of the lovely ladies who have taken care of me in that office for the past 3 years, I walked out the door for the last time. I’ve created a little storyboard intermission for those of you who would rather forego reading altogether and just look at pictures. Guess what, folks! I have big news! 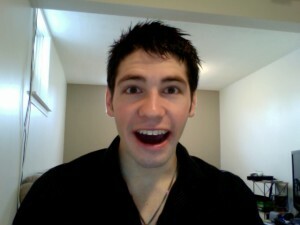 I got rid of my braces! Wearing a retainer is frustrating at first because your speech is slightly lispy and you need to take it out every single time you wish to eat. It only took a day or two before I learned how to speak while wearing it and realized that removing it to eat is hardly an inconvenience, considering I can now smile at the table while I eat. It’s quite a brilliant thought! I’m supposed to wear this retainer every day for a year, then every night for two months, and then 1–2 nights per week for the rest of my life. Following my orthodontist appointment, I went to donate blood with a friend for the first time in my life. Now, despite having 5 years’ worth of tattoos, I’m actually horribly afraid of needles. I finally manned up and committed to donating only to learn that you can’t be a donor if you’ve had dental work performed in the past 24 hours. I still had the privilege of eating free cookies though, so it was a worthwhile trip. Later that night, a few friends and I went out for unlimited ribs (despite the fact that my orthodontist explicitly told me not to eat ribs for three days until the glue on the permanent wire on the backs of my bottom teeth was fully set). Folks, eating things like ribs and apples again is quite amazing. I felt like a bit of a glutton afterwards, considering I ate 5 plates’ worth. It was a celebration though, so I’m exempting myself for that one night only. I’ll be driving to New York in a couple of weeks to experience New Year’s Eve in Times Square. I plan on doing something crazy, so look for me on TV! 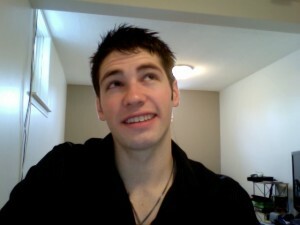 I’ll be the crazy Canadian running around finding cameras in a mad attempt to flash the entire world… with my new smile! Hi I just wanted to say thank you for this blog. I’m 15 days post op currently from a bi-max surgery done slightly different from yours. I had my eye sockets broken too and the entire upper jaw right up to my eyes was moved forwards as well as my bottom jaw being broken and moved back. This has left me with scars under my eyes but I don’t mind :). Luckily my surgery was paid for by the NHS since I’m in Britain. I’m very thankful for this, even with the six year process I had to endure with waiting lists length and two cancellations before the surgery went ahead. Because of the complexity of the surgery I have a lot more numbness than people having the average double jaw surgery, with the entire bottom half of my face being numb. So far I’ve not got a single bit of feeling back. I believe everything is going well so far but I’m having an issue with my face itching and it’s driving me CRAZY since no matter how much I scratch, I can’t seem to touch the itching. Did this happen to you? If so how long did it happen for? The itching is so bad that I’m struggling to do anything since it’s impossible to ignore. I’m 8 months post op and getting ready to remove my braces, *anticipation*. Anyway ever since the surgery my lips are extremely dry, chapped and damaged, I only get relief when I use lip balm. I’m just wondering if this is normal cause its been 8 months and my lips get so dry they irritate me a lot. I’m considering going to visit a dermatologist if this continues as my surgeon, doesn’t really know why my lips are like that. Zachary, I haven’t met anyone else who experienced dry lips that far after recovery and I can’t think of anything related to the surgery that would cause this in any longterm manner. Usually dry lips are related to being dehydrated and the solution is to drink more water, but that should not be any different than before the surgery. I noticed the wires from the braces in my mouth are broken since I have a splint. I assume it’s ok if they are broken for now since I just had surgery and won’t be back to the orthodontist for six weeks..
Also.. How many times did you have to see your surgeon for follow up appointments? My first follow up is tomorrow. If the wires from your braces are broken, I would call your surgeon and ask if that’s alright. I think my wires remained on throughout the entire process and you certainly don’t want your teeth trying to move around while your jaw is trying to heal. As for follow-up appointments, I can’t remember the exact frequency of them, but I believe I has 1-week, 2-week, 1-month, 2-month, and 3-month appointments with my surgeon. I started visiting my orthodontist again somewhere in there as well… maybe around the 2-month mark. I am scheduled to have double jaw surgery in December. I have only met with the surgeon twice and will meet with him one more time prior to surgery. I am just wondering if this is common? I feel like I have not had a lot of time with the surgeon to go over things and due to work I was not really able get out there and shop around with other surgeons. Grant, if I remember correctly, I met with my surgeon 2–3 times before having the operation as well. Generally, you’ll go for an initial consultation, then return to hammer out the price and details, and then possibly return a third time to get any final questions answered. As long as you’re confident in your surgeon’s abilities (ie. they’ve performed this operation many times before), you should be in good hands. Keep in mind that surgeons are busy people and, as much as we all want special treatment, they probably perform 2 or 3 of these procedures on a given day in the operating room. That being said, if you have questions you would really like answered before going to the hospital, you should most certainly call and arrange a final chat with your surgeon. Part of the price you’re paying covers these consultations, after all. Grant – In case a comparison would be useful I’m in the United Kingdom and will be having surgery through the National Health Service here. I have seen my surgeon 3 times also so a similar experience to Graham. I’m sure if you have any concerns your surgeon would want to answer them so definitely worth getting in contact with them. A useful tip I was given was to write down any questions in advance and bring these with you to the consultation, it’s surprising how easy it is to forget everything you wanted to ask amidst all the procedures the surgeon is busy with. Good luck with your surgery. I already met my surgeon avout 4 times alone, and three other times with my orthodontist together, so I get that it feel rushed. But I can assure you, they do these operations all the time, and not needing to consult so often probably means your case is very standart and therefore lower-risk. Also, you can actually can call the department when you have questions, surgeons often have attendance anyways (for emegencies and such). For you information, this is in Germany. I don’t know how differently it’s handled in the UK. 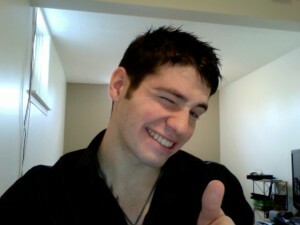 Hi Graham, I wish I had found your posts sooner! I’m currently on day 8 post op bimax and pain wise it has been the worst! My splint has been removed , swelling on one side of face has gone but on the left I am in so much pain that nothing is touching it. It runs from my ear right down to the centre of my chin. I have tried every med they sent me home with as well as heat Pak’s. Can anyone suggest why this is happening and what I can do? Hi Debbie! If the pain feels “piercing,” it’s possible that you have an infection. However, it’s also possible that, due to the uneven swelling you mentioned, your tender skin is simply being pulled in a few different directions. I recommend giving your surgeon a call to ask about the possibility of infection. It will only take them a few minutes to determine if that’s the case and it’s definitely not something you want to leave unattended. Graham, just to sat thank you so much for this blog, it’s by far the most useful and encouraging information I’ve found about bimax surgery. 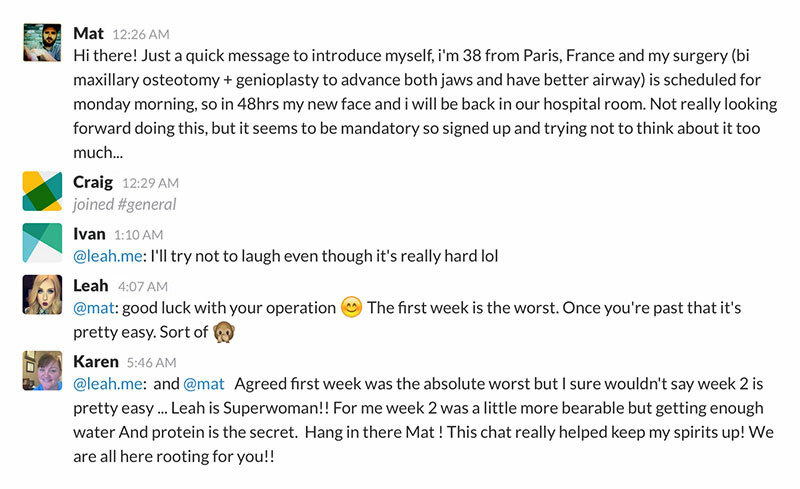 My surgery is next month so I’m really reassured by your story and results. At the moment I’m excited and anxious so reading your blog has helped a lot. Many thanks for taking the time to share your experience so honestly & with humour. It’s a great read. Your bite looks great. I don’t see any open bite. Did you do a second surgery? You said open bite.. was it in the inside or outside? My upper and lower molar on the outside doesn’t touch and I’m really worried about a second surgery. I’m already underwweight, cant afford to lose another 20 lbs then i waill be anorex . Hey Carline. As I explained in my other comment to you, my open bite eventually closed up, so I didn’t go for a second surgery. My surgeon actually advised me not to have a second surgery because of potential complications. I had double jaw surgery on October 27. The first week was hell. My surgery went perfectly (according to my surgeon). I had a class III malocclusion, open bite, sleep apnea, and misaligned bite. I also had lipo under my chin and cheek implants. I’m going into my fourth week and I’m falling into a bit of a depression. I’m still numb around my nose, most of my upper lip, and a little around my cheeks. I’ve been following my liquid and soft food (mush) diet. I’ve lost around 35 pounds, which isn’t bad for me because I’m already overweight. My energy is around 50-60%. I’m still swollen, but not nearly as bad as my first week.Since I still have my splint in I talk really funny. I have to speak slowly so people can understand me. Sleeping is the hardest part for me. Laying flat (like I did pre surgery) is very uncomfortable. I am slightly elevated. 1. Does your face tingle (like pin pricks)? If so, what do you do for that pain? Advil is not working. 2. Does your face jerk a bit? Not huge twitches, but small ones when the feeling is coming back? 3. How much walking and light exercise did you do in week 4? What exercises? 4. How wide were you able to open your mouth at week 4? 5. How well are you sleeping? Hi Jackie! First of all, I can relate to everything you’ve mentioned here. While parts of this recovery are certainly demoralizing, you can rest assured that what you’re experiencing is perfectly normal. 1. You’ll feel “pins and needles” for about the first 2 months. One way to soothe this sensation is to apply a hot pak to your face. 2. Spasms in your face are to be expected as your nerves wake up. Again, the only solution I found to ease them was to use a hot pak. 3. I recall being able to walk around and go for short bike rides by the fourth week. I still didn’t have the energy to return to the gym or play any sports, though. 4. I was only able to open my mouth slightly by the fourth week. I still had my splint in, as well as several elastics, so movement was limited. Once your splint is removed and you can start speaking and eating again, movement will return much more quickly. 5. I found sleeping difficult during the first 2–3 weeks, but was able to sleep through the night after that. Again, if you’re finding sleeping difficult, try resting a hot pak on your face when you lay down for bed. 6. My numbness made my face feel really chubby and tight. That feeling of “tightness” is likely due to scar tissue, which you’ll eventually be able to break up by whistling (once your splint is removed). As a final note on feeling depressed, try your best to look forward to life in one more month. The moment your splint comes out, you’ll be able to speak clearly again and you’ll also be able to start eating soft foods, which will bring your energy levels back to 100%. Thank you so much for your help. I was very frustrated and in pain the last time I posted and your advice has been so helpful. Today is my 6th week post op. I had my splint taken out and I had food for the first time. I would’ve cried, except brushing my teeth was by far the best feeling. I lost 52 lbs. I know that’s a lot but I’m already overweight so it helped me. I’m still swollen around my cheeks and a little around my lips. My surgeon said that I’m healing perfectly and things are going very well. I have to force my jaw open with my fingers to get my mouth to open wider, but that’s okay. I’ll endure. I’ve always eaten food by tearing and chewing with my molars. It was really awkward chewing today. What do you suggest to help with that? Great to hear that you are splint-free, Jackie! And losing 52 pounds… wow!